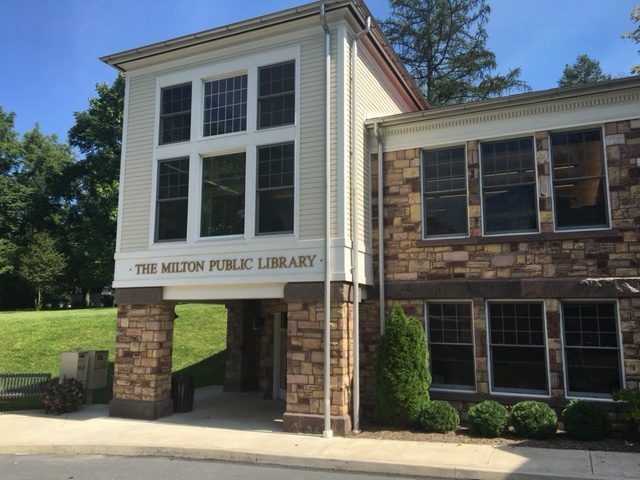 This week I had the pleasure of visiting the Milton Public Library in Northumberland County. Founded in 1923, it relocated in 2012 when the library purchased an old stone house and built an addition to create 11,000 square feet. The architects and builders did a beautiful job integrating the old and new to the point where I could not tell the two apart. Features include a water wall, an antique wall safe, and a gorgeous, 6 acre lawn with many cherry trees. It is definitely worth a visit if you are passing near Milton. I learn a great deal by visiting SPARK libraries and hope to visit as many as I can as soon as I can.